Stunningly designed and beautifully appointed, the Mandarin Oriental, Las Vegas brings a chic aesthetic to the Strip. Home to the only U.S. restaurant opened by the internationally-celebrated chef Pierre Gagnaire and the first permanent collection of public art in Las Vegas; this LEED-certified property is truly a special place. To add to its spectacular accommodations, it's now topped off with gorgeous fittings from multiple Axor collections, which were specified for all three of the hotel's penthouse residences. The residences at the Mandarin Oriental are the definition of luxury, offering the comforts of a private home while indulging residents with the unsurpassed amenities and service of a Five-Star and AAA Five-Diamond recognized hotel. Collections represented in the luxe spaces include Axor Urquiola, Axor Citterio, Axor Starck Organic, Axor Massaud, Axor Starck, Axor Starck X, as well as Hansgrohe Raindance showers and trims. 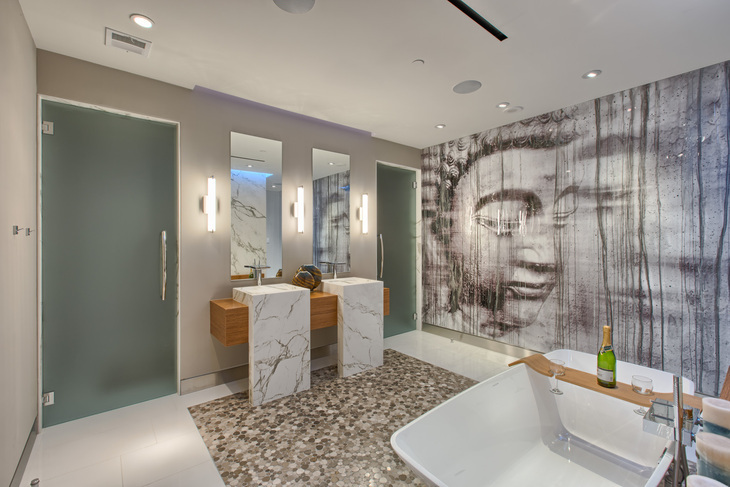 These high-design fixtures complement the residents high-end lifestyle and elevate the renowned and exclusive experience sought after at the Mandarin Oriental.